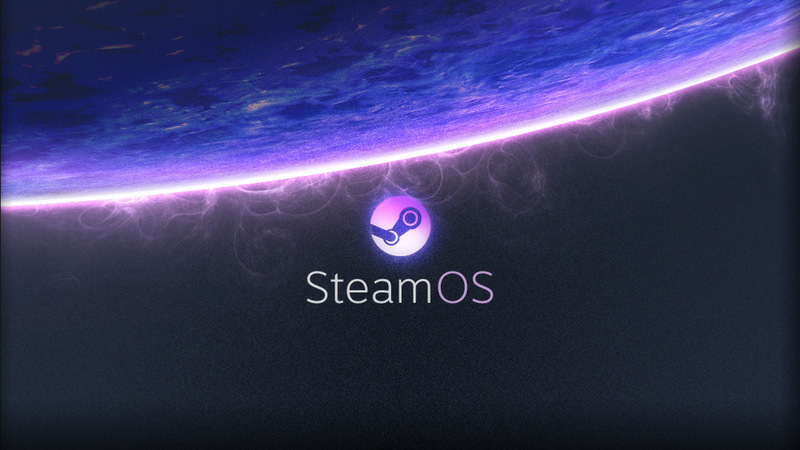 Valve has added support for the next generation Vulkan API to SteamOS which is their Linux based operating system aimed at gamers running Steam machines and DIY PCs. 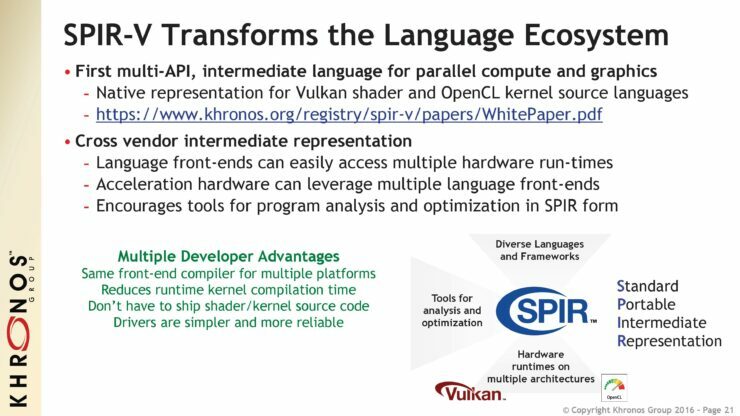 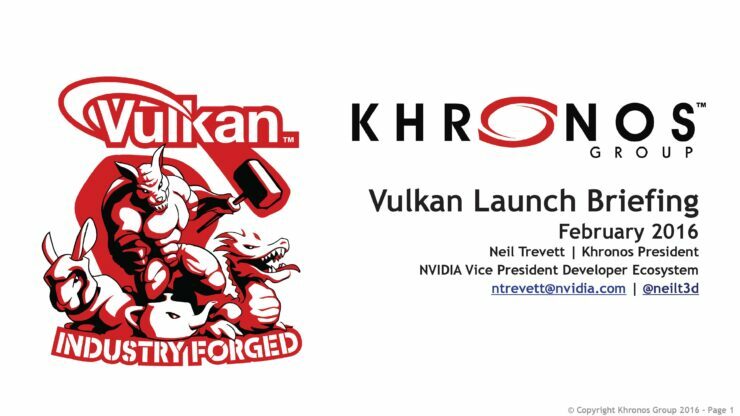 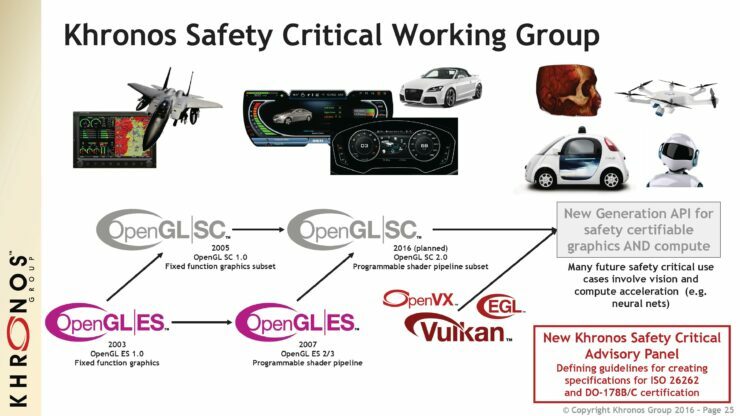 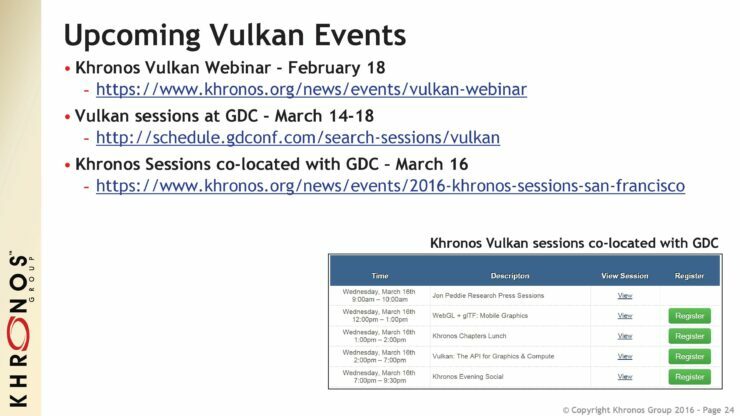 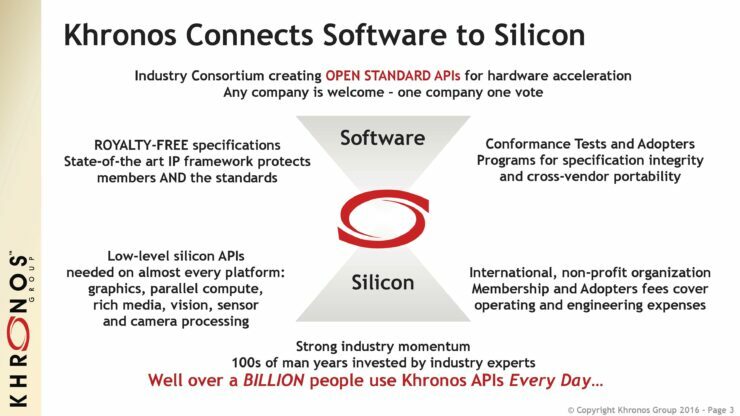 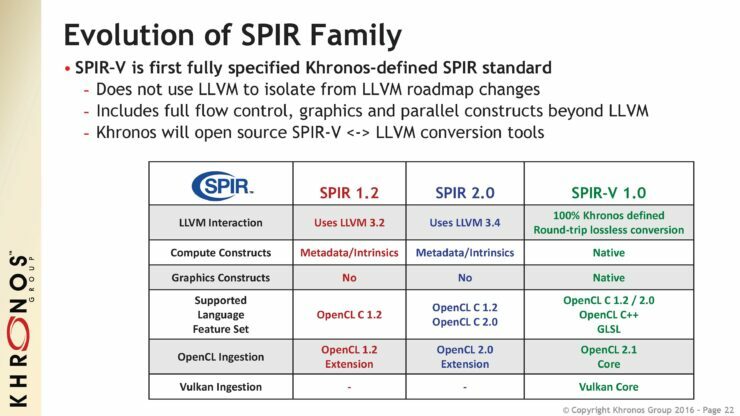 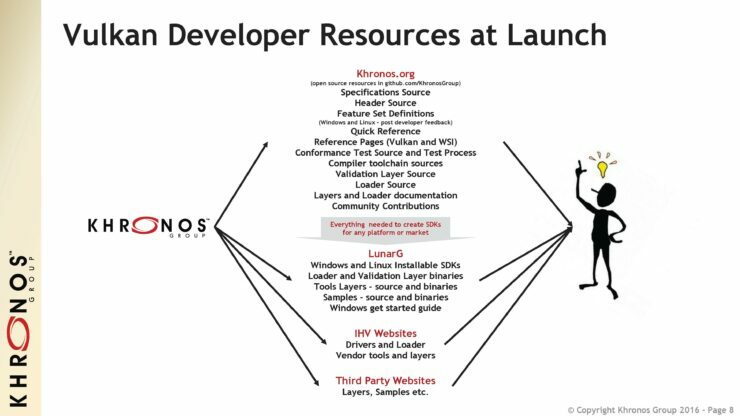 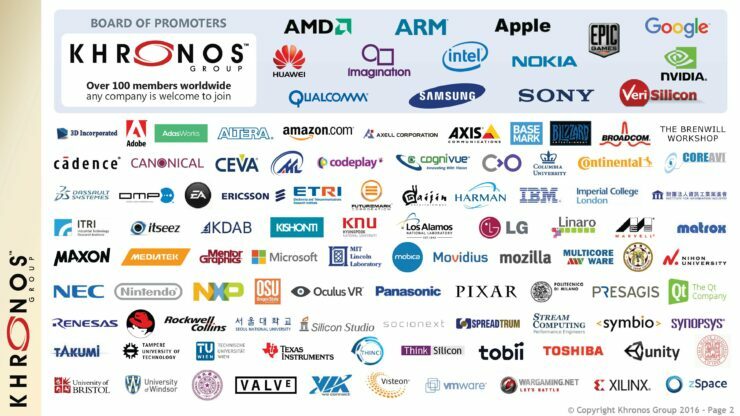 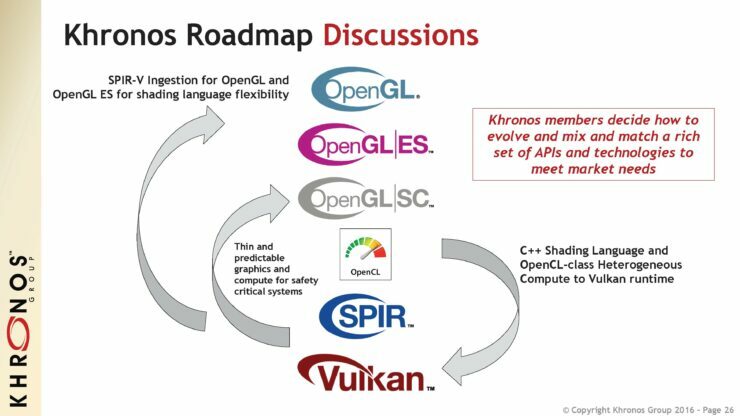 Khronos Group officially launched their Vulkan API (Version 1.0) last week which offers developers an enhanced programming interface that allows them to access performance down to the core of available hardware. 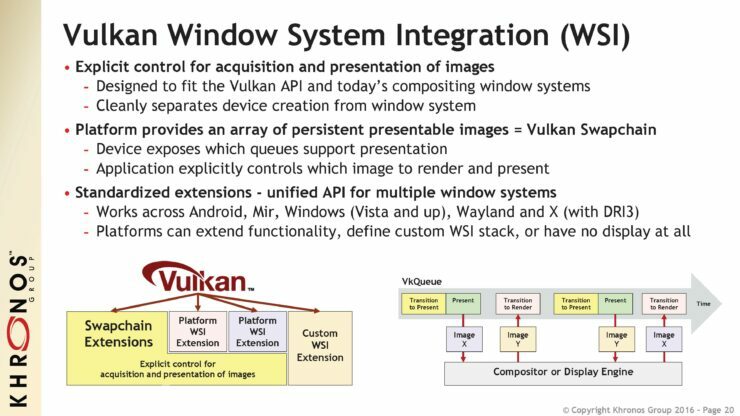 The Vulkan API is based on the same principles as DirectX 12 and Mantle API but the open source nature of the API allows it to run across several platforms and vendors. 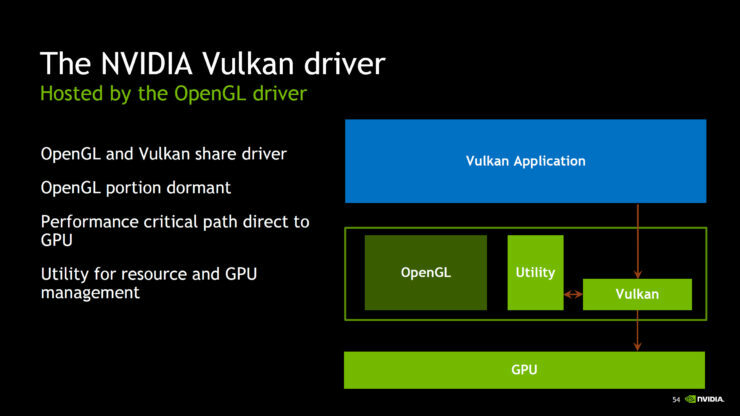 When the Vulkan API officially launched last week, we noticed that NVIDIA announced their special Vulkan 1.0 drivers for GeForce cards which added support for the new API on their Maxwell and Kepler GPUs. 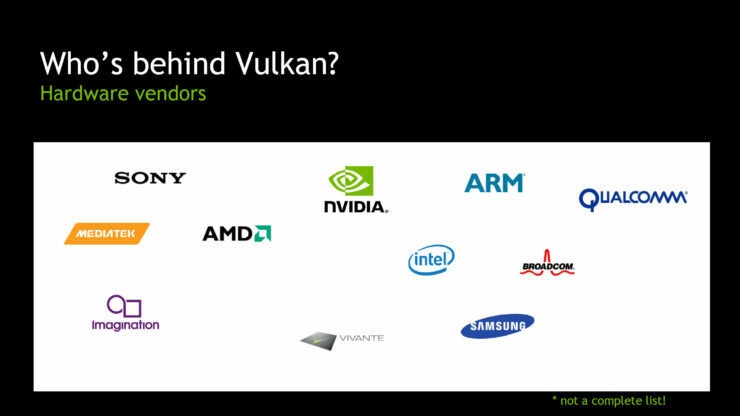 AMD, Intel and other vendors also showcased their support for Vulkan API in the form of new drivers for the API but while others limited support to either Linux, Windows and Android, only NVIDIA offered full cross platform support for the API across all operating systems. 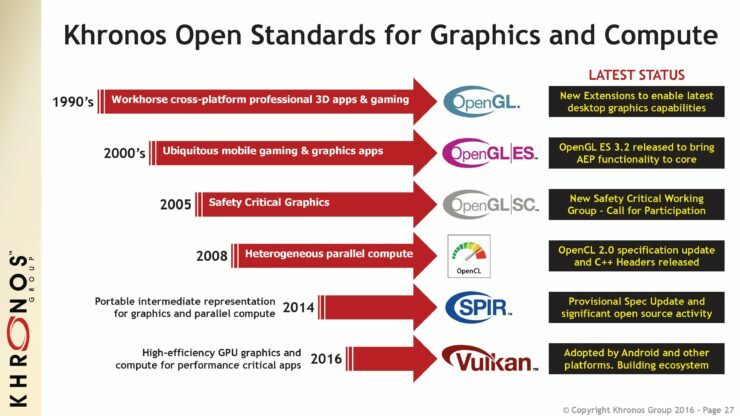 Of all vendors, only driver submissions from NVIDIA, Intel, Qualcomm and Imagination technologies were conformant while ARM and AMD’s drivers submissions are under review. 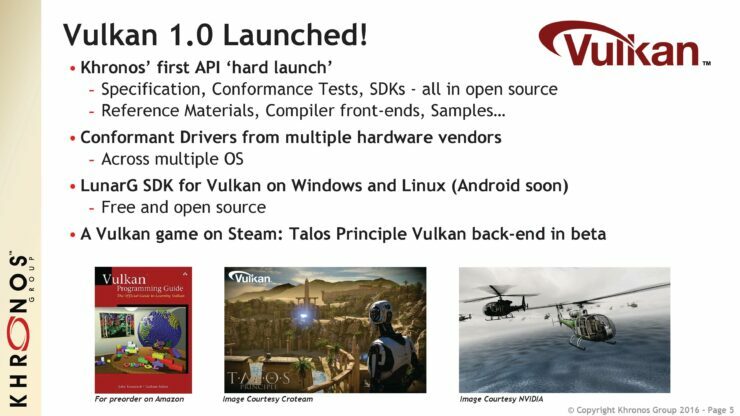 Today, Valve’s SteamOS gets full Vulkan API support and as expected, NVIDIA is still leading with best support for the new API on Valve’s Linux platform while AMD and Intel support is yet to come. 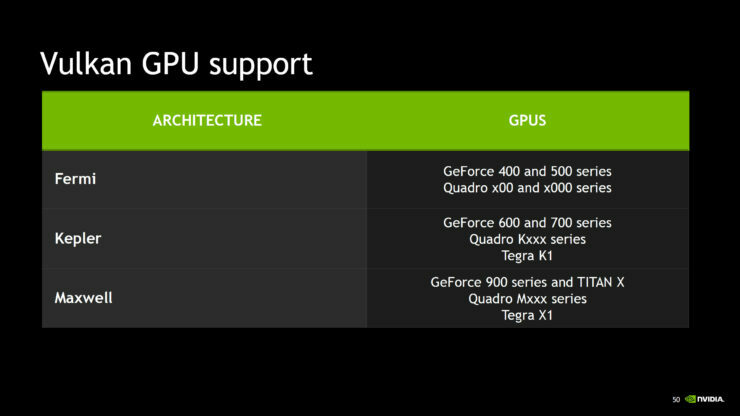 This shows how close NVIDIA is working with game companies to offer best support for their GeForce hardware. 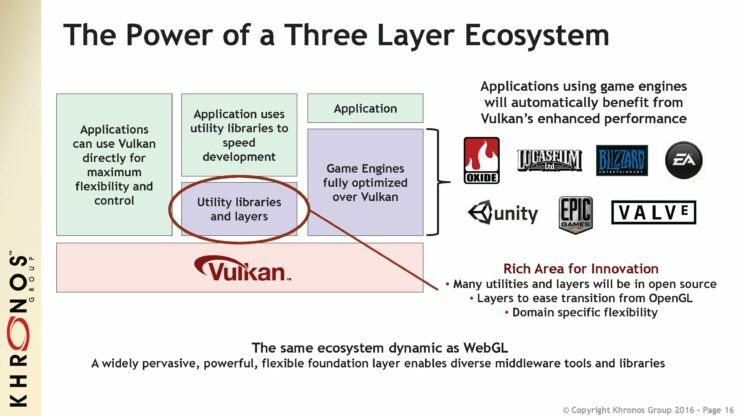 APIs such as Vulkan are crucial for the gaming industry as they allow developers to harness more performance from hardware that would otherwise remain untapped. 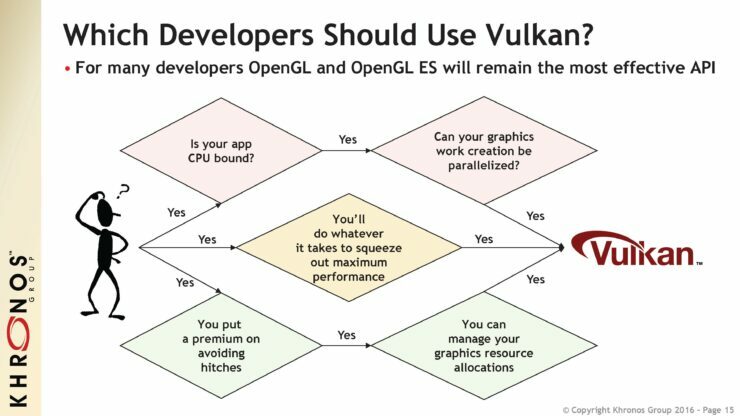 This potentially wasted performance leads to inefficiencies which we see in several gaming titles nowadays but is expected to change with the upwards adoption of Vulkan and DirectX 12 APIs. 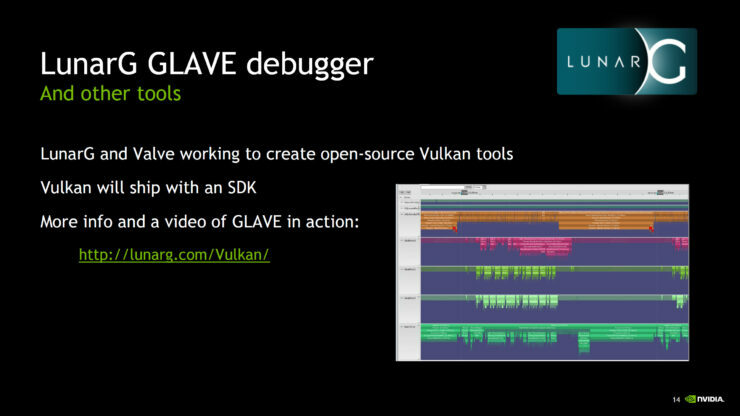 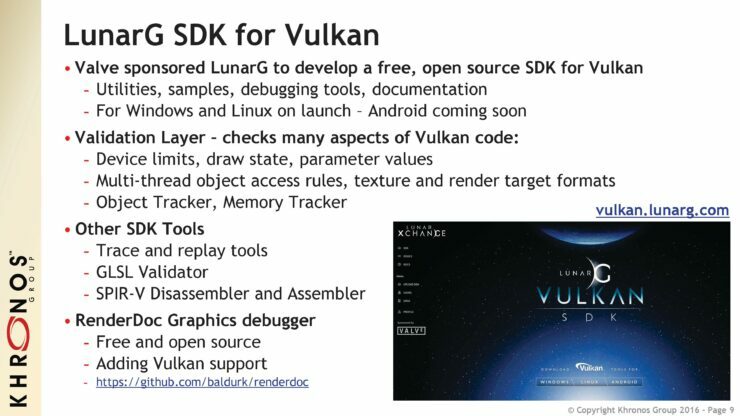 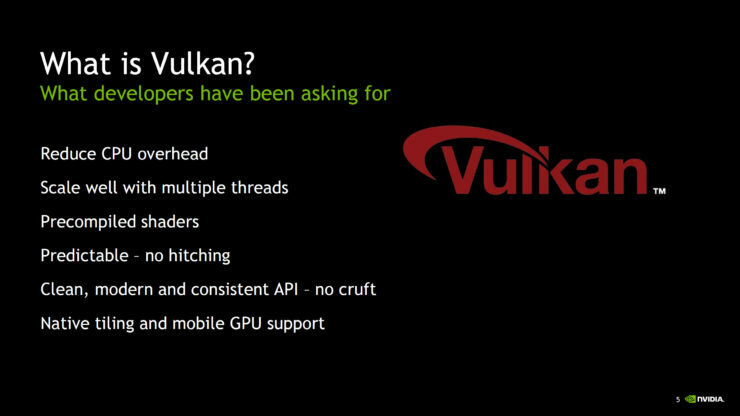 Vulkan, a new graphics application programming interface, launched today. 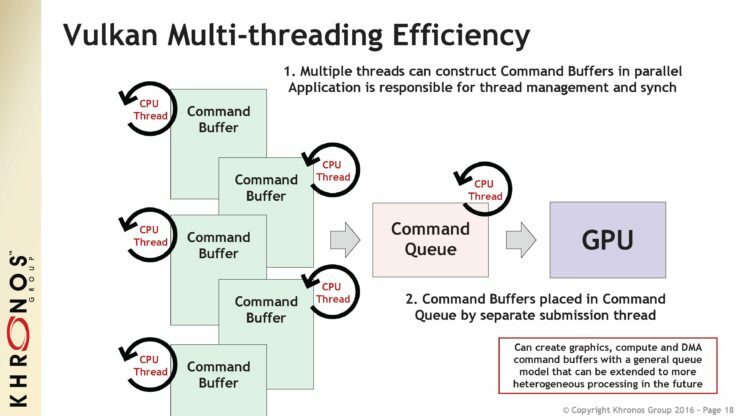 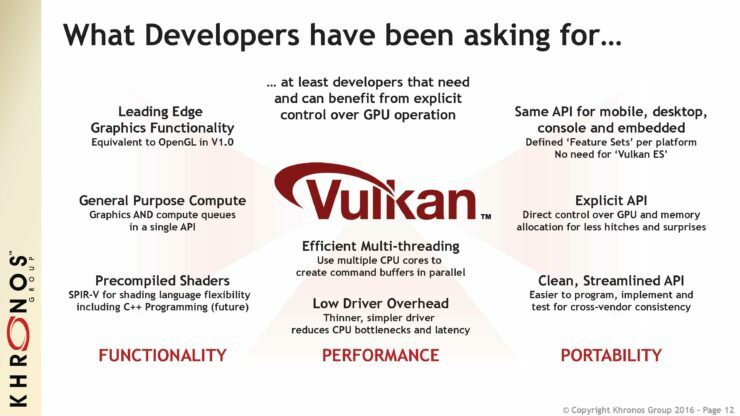 With a simpler, thinner driver, and efficient CPU multi-threading capabilities, Vulkan has less latency and overhead than OpenGL or Direct3D, and can help your system reach new levels of performance. 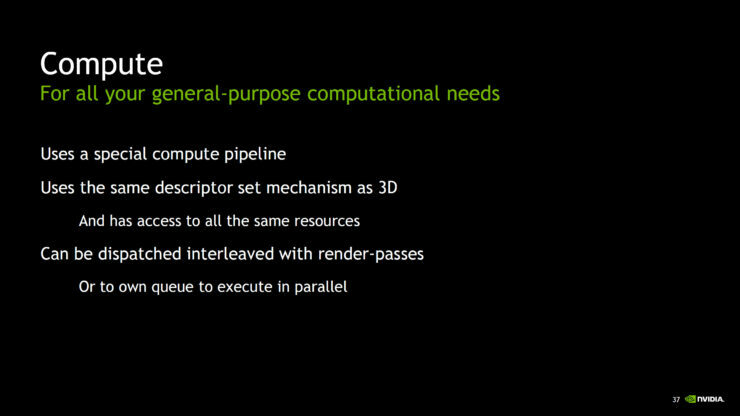 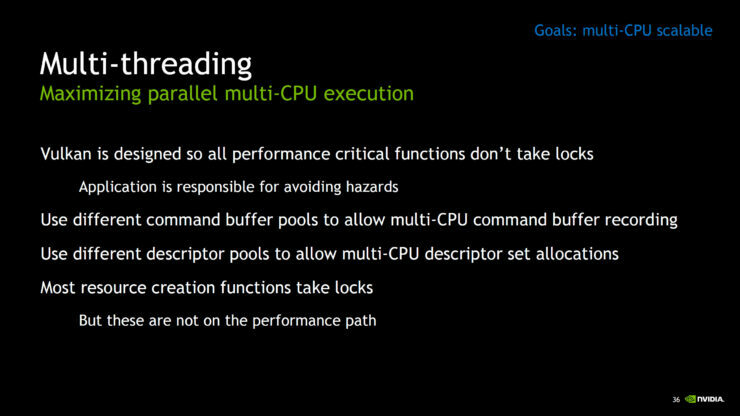 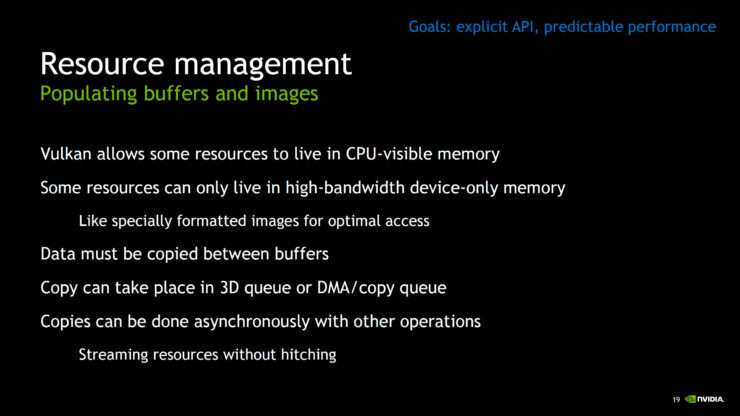 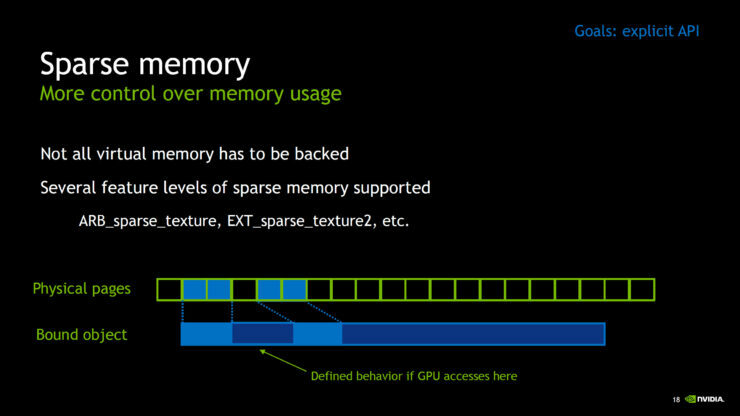 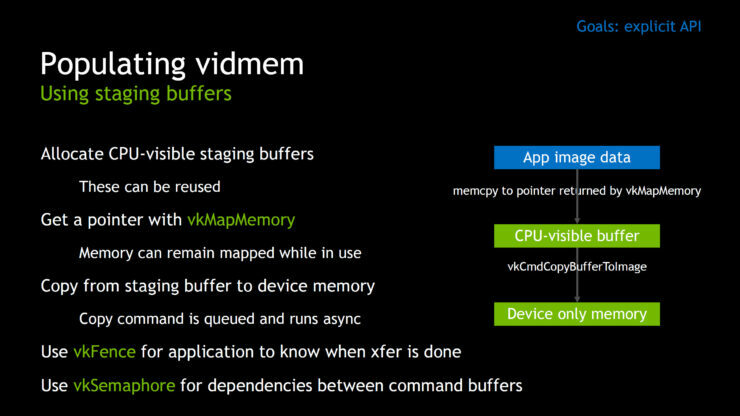 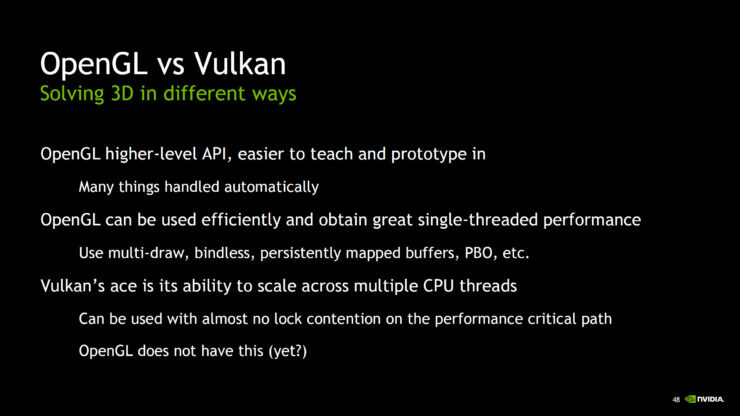 In simpler terms, Vulkan can help developers avoid CPU bottlenecks that limit performance, and can improve performance elsewhere, too. 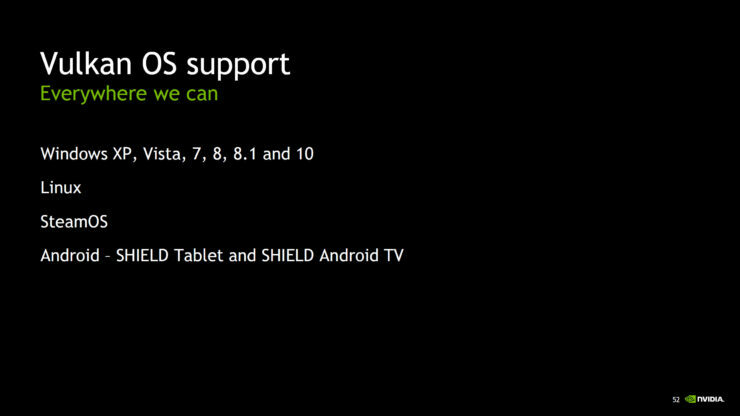 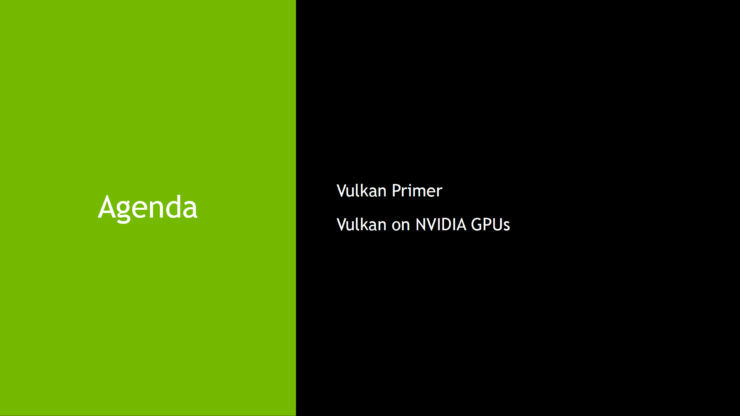 NVIDIA not only had the best Vulkan API support for their hardware across Windows and Linux, but now they have the best support for the API on SteamOS too. 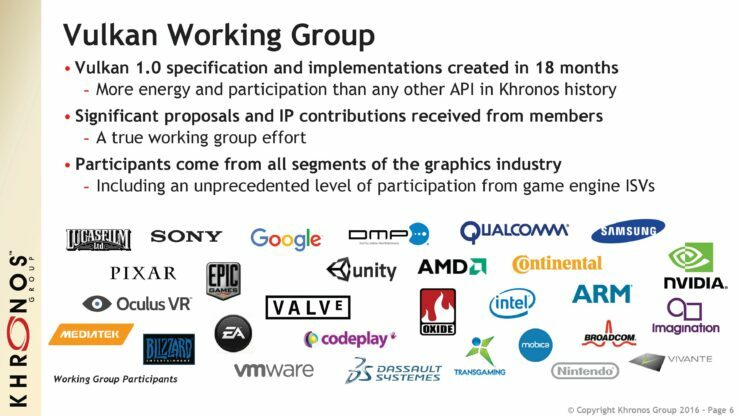 According to PCWorld, Intel is expected to join the party in the near future while AMD is still working on their own driver for Radeon graphics cards so those users running either an Intel or AMD GPU on SteamOS have to wait possibly for a few months before they can get support for Vulkan API on their systems. 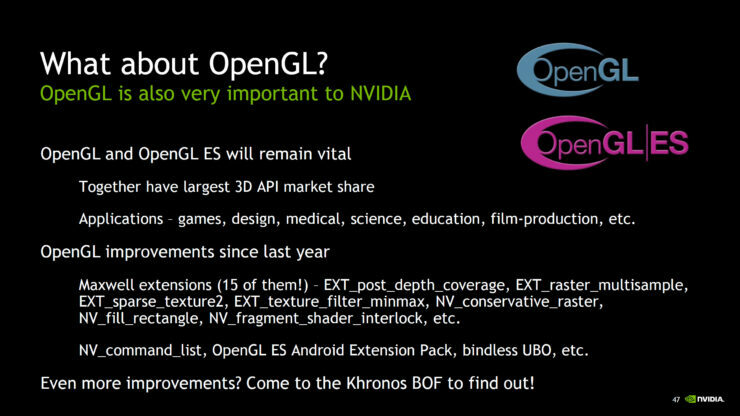 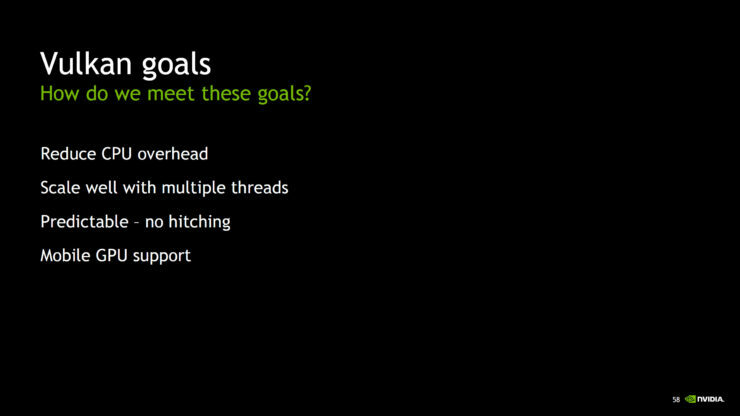 NVIDIA’s commitment to support SteamOS and OpenGL gaming goes way back in 2013 when the OS was first announced and NVIDIA’s own engineers have been working with Valve to deliver better support for the open source OS. 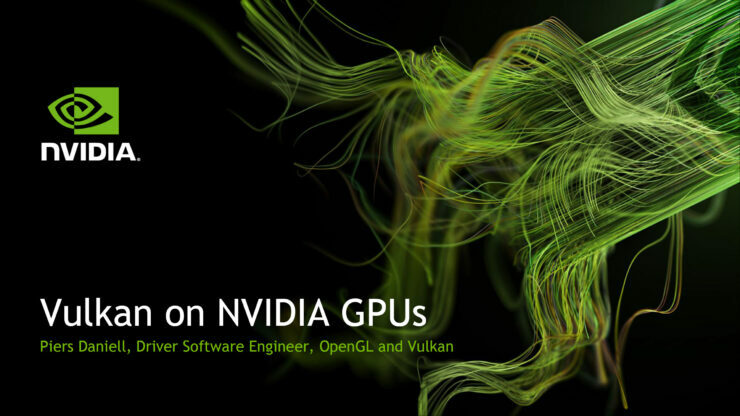 The Vulkan support to NVIDIA GPUs was added almost four months ago when NVIDIA started the initial testing phase for their Kepler and Maxwell family of graphics cards and added preliminary listings of the upcoming Pascal and Volta GPUs. 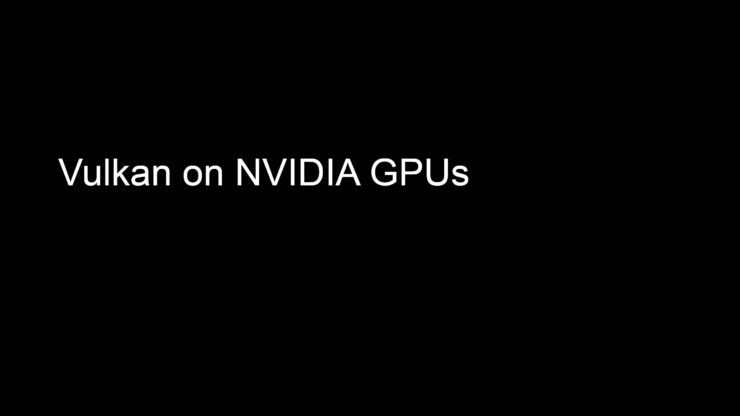 NVIDIA’s lead in SteamOS gaming performance will be further boosted by Vulkan API support on the same OS as we saw benchmarks of a GeForce GTX 950 surpassing the Radeon R9 Fury graphics cards when the cards were pitted against each other in a range of games optimized for the OS. 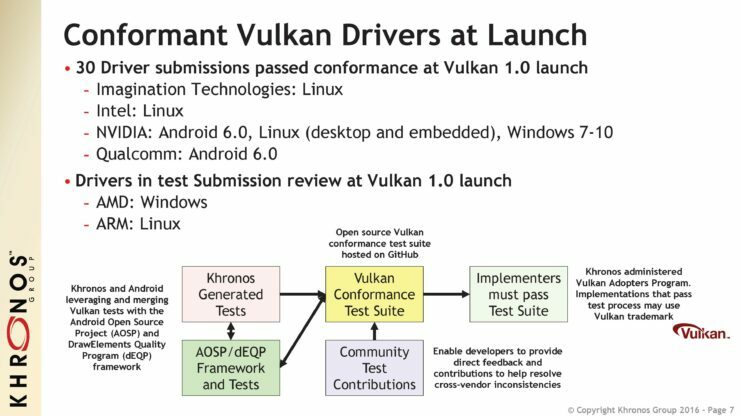 Do note that those users who run Linux instead of SteamOS can also download Vulkan ready drivers from NVIDIA and Intel. 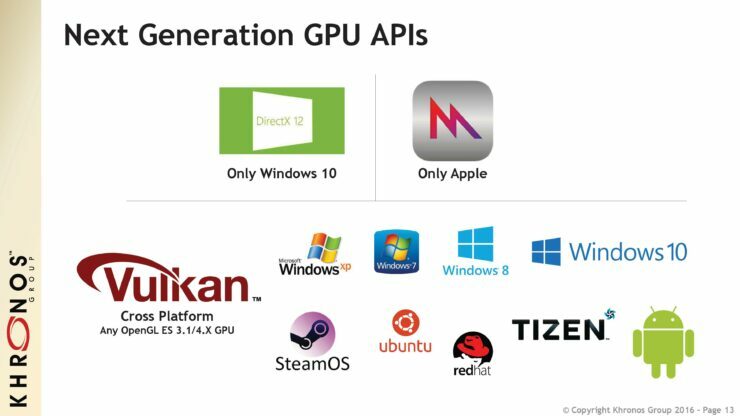 AMD so far has only published drivers for Windows OS while their support for SteamOS and Linux is yet to be seen by consumers. 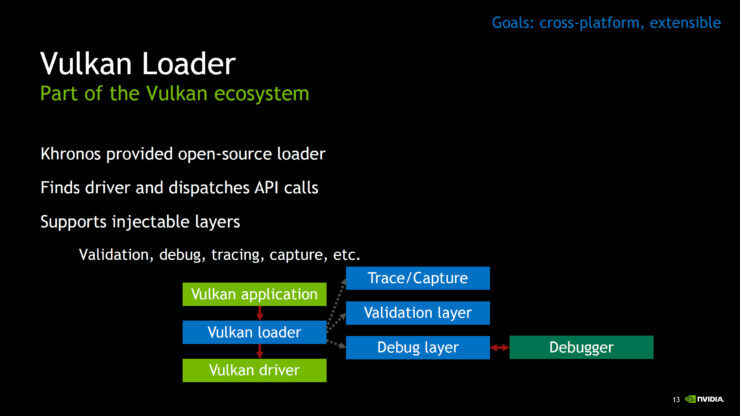 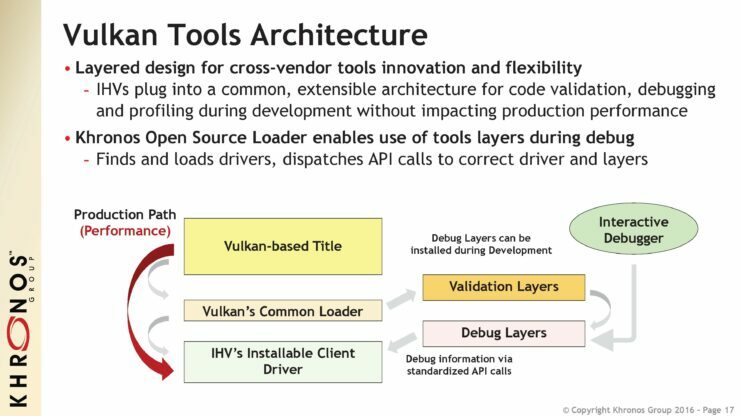 “We are extremely pleased at the industry’s rapid execution on the Vulkan API initiative. 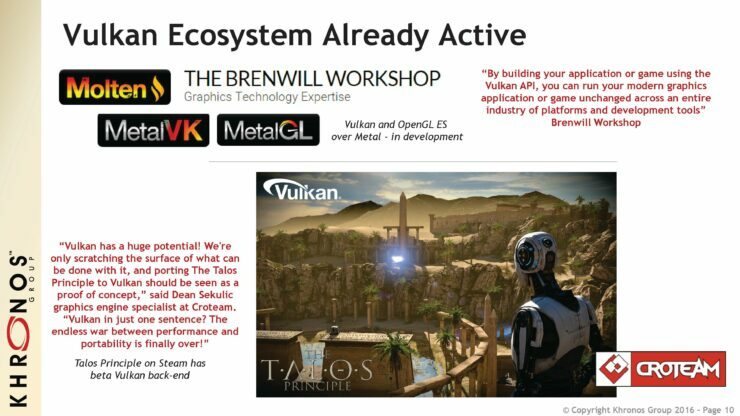 Due to Vulkan’s cross platform availability, high performance and healthy open source ecosystem, we expect to see rapid uptake by software developers, far exceeding the adoption of similar APIs which are limited to specific operating systems,” said Gabe Newell, co-founder and managing director, Valve. 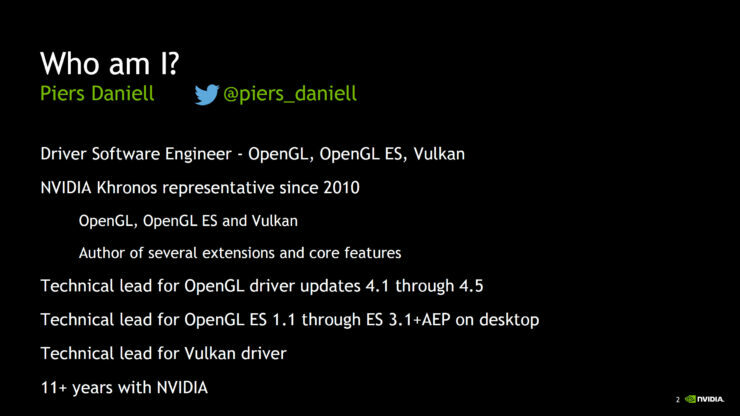 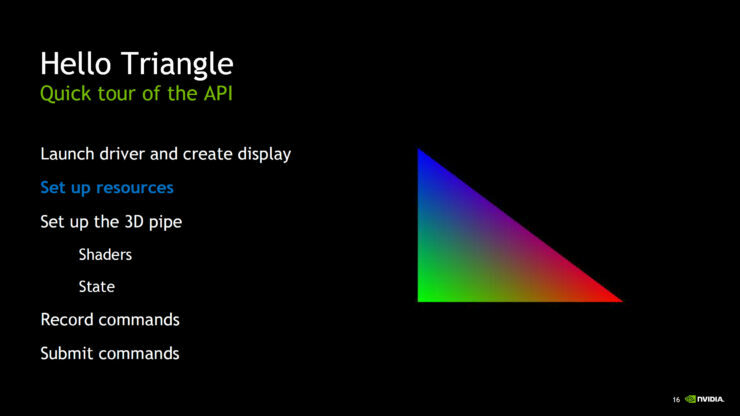 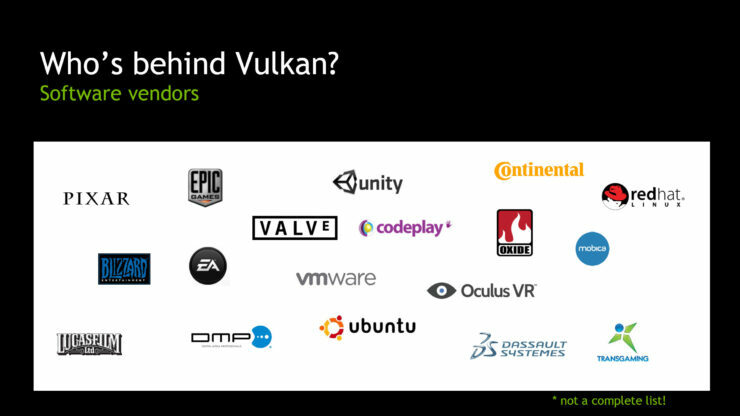 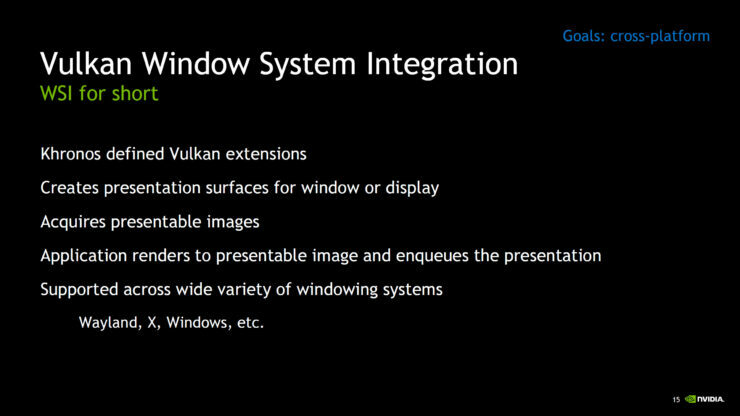 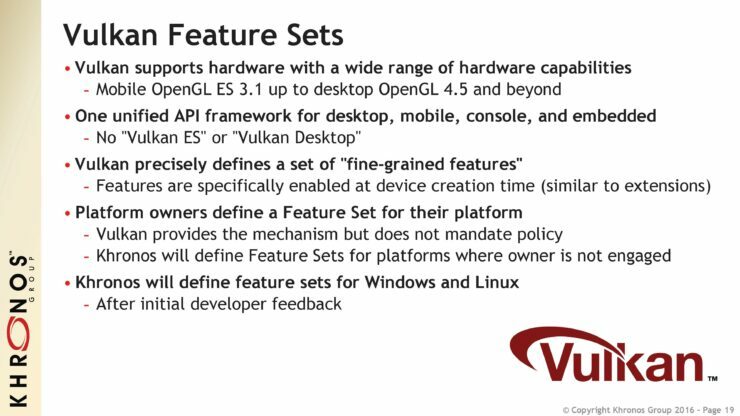 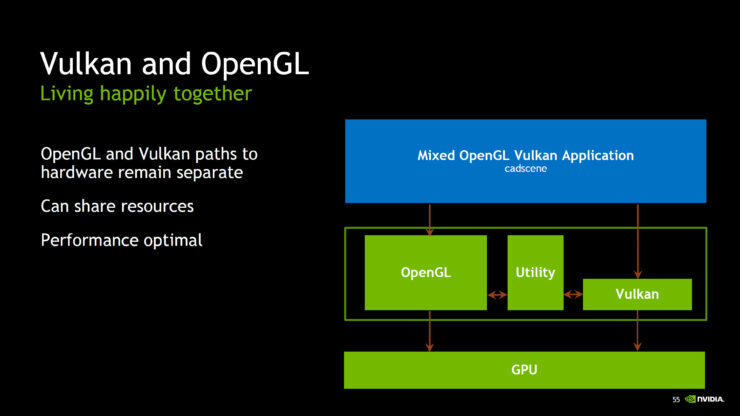 The Vulkan API has seen support from various companies and it’s without a doubt a game changer for the industry. 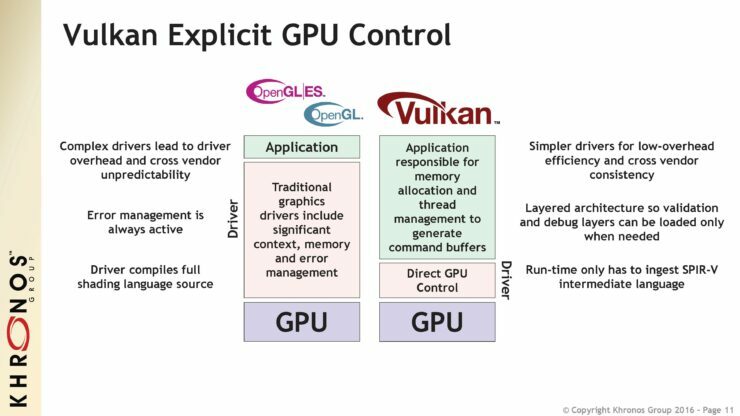 It brings massive boost in performance compared to OpenGL API and the performance will get more mature as the adoption rate rises and gets better support from developers and hardware vendors. 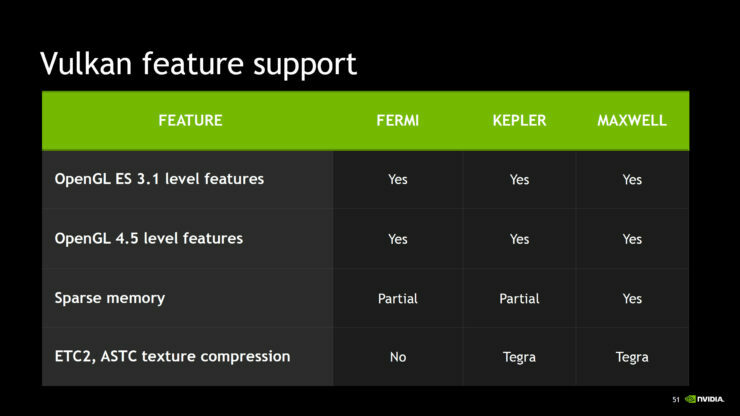 The NVIDIA relation with Linux wasn’t a good story from the start but better support led Linus Torvalds to give them a thumbs up for their new commitment to Linux support. 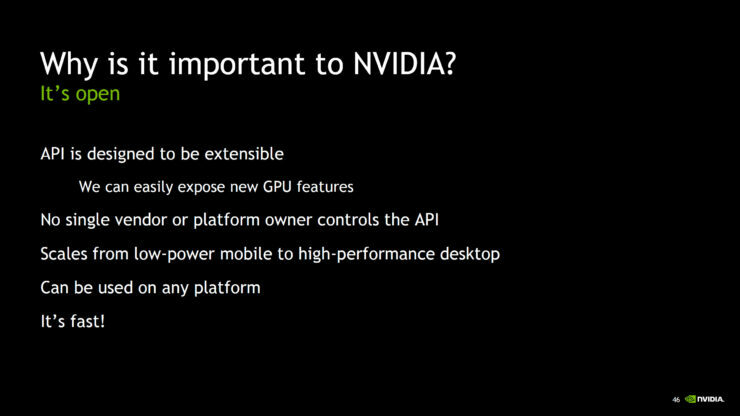 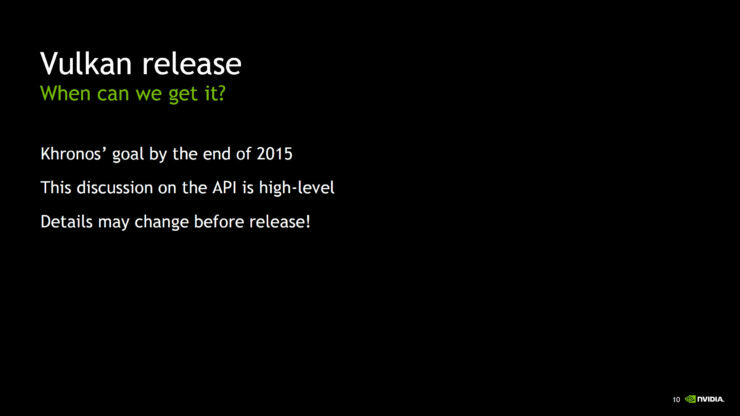 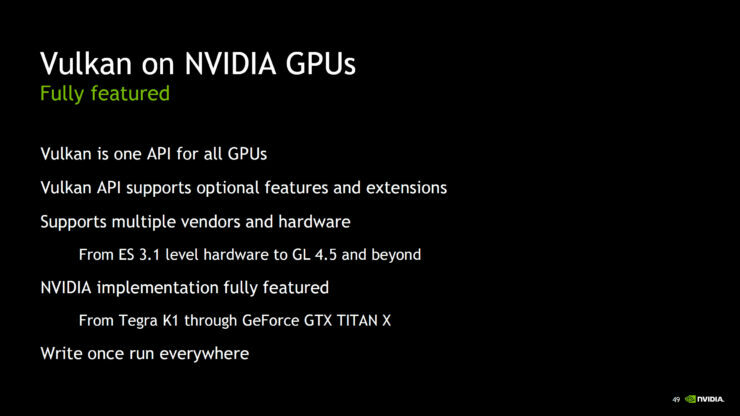 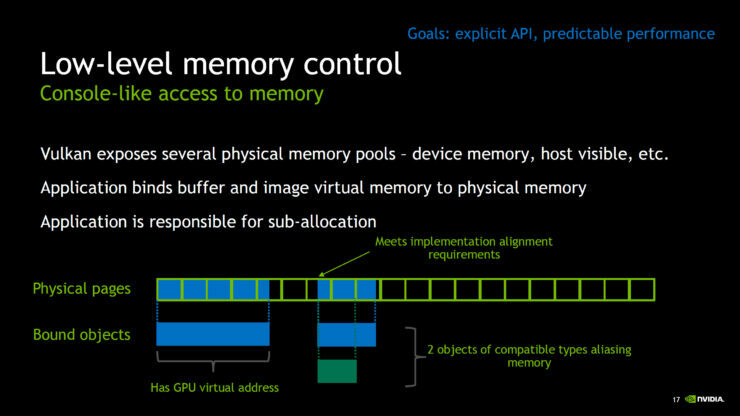 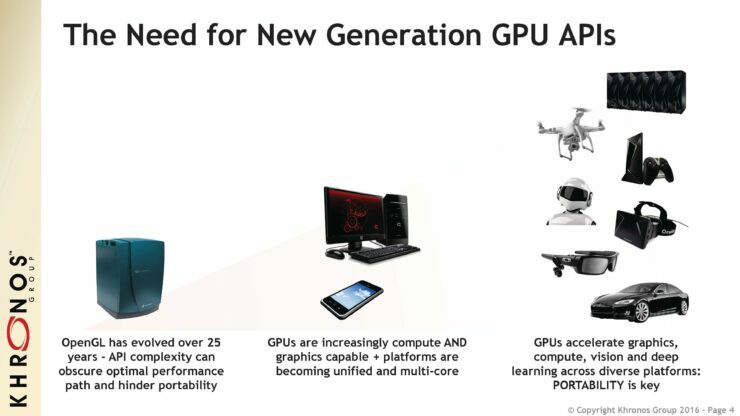 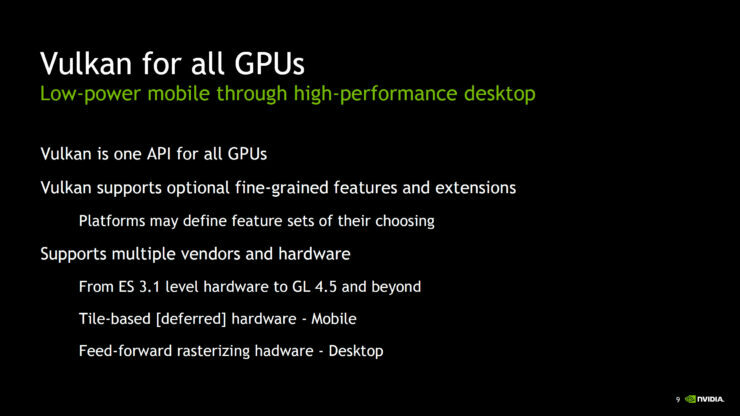 NVIDIA so far has been at the front to support the new API in gaining traction in the industry.